Opening hours: General opening hours in Paris are Mon-Sat 9am-7pm. Smaller shops may close between midday and 2pm or on Mondays. On Sundays and public holidays shops are closed. Department stores have one late-night opening day, called “nocturne”, during which shops are open until 9pm. Supermarket times may differ depending on the neighbourhood. The Louvre is one of the largest museums in the world, famous for its many masterpieces: the Mona Lisa, Venus de Milo, art by Rembrandt, Vermeer, Caravaggio and many more. 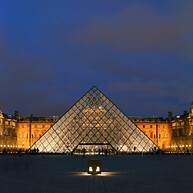 The main entrance is covered by the 21-meter-high glass Pyramide de Louvre. The French government has collected the 35,000 paintings, sculptures and artifacts that inhabit its endless halls over the past five centuries, and the collection boasts Assyrian, Etruscan, Greek, Coptic and Islamic art, as well as antiquities dating from prehistory to the 19th century. 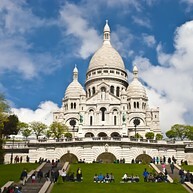 The Sacré-Cœur Roman Catholic basilica sits atop the Montmartre hill, the highest point of the city, offering an wonderful panoramic view of Paris as it extends southward. The church was inaugurated in 1914 and is named after, and dedicated to, the Sacred Heart of Jesus. It contains more than 500 statues and its iconic status makes it a regular sight on film. The Arc de Triomphe was erected by the Emperor Napoleon in 1806, and standing tall at 50 metres (164 feet), it is one of the most famous landmarks in Paris. Located at the centre of Place Charles de Gaulle at the western end of Champs-Élysées, the arch honours those who fought and died in the French Revolutionary and Napoleonic Wars. The town of Versailles is a wealthy Parisian suburb and municipality, located 20 kilometres outside the city. In the 11th century Versailles was merely a country village enveloping a castle and the church of Saint-Julien. Today it is mostly known for the lavish Chateau de Versailles, which served as home to King Louis XIV and summer palace to Napoleon. It also saw the historic signing of the Treaty of Versailles in 1919 in the now legendary Hall of Mirrors. 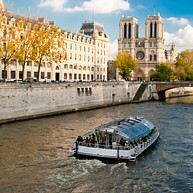 Boat cruises on the Seine embark at the foot of the Eiffel Tower and take you through the heart of the city where you can admire the prestigious monuments and landmarks of the city and the stunning architecture from bridge to bridge and bank to bank. To learn history along the way, plug in your audio guide and choose your language (there are 13 languages available). 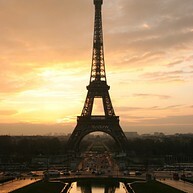 Come back at night for another tour, and it will be a different Paris before your eyes, yet just as magical. 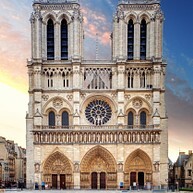 With its 10 million yearly visitors, Notre-Dame was the most visited site in Paris until a devastating fire ravaged its significant part in April 2019, suspending visits inside until further notice. The structure of the building itself was preserved, as well as most works of art that used to be contained inside (these are now temporarily stored elsewhere). The place has always been the religious centre of the city: the Celts considered the grounds sacred, the Romans built a temple here, the Christians, a basilica, and the last religious structure before the Notre-Dame cathedral was erected was a Romanesque church. The Gothic cathedral of Notre-Dame, finished in 1345, is a tectonic masterpiece. 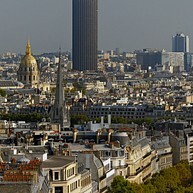 The massive structure is 128 meters long (420 feet) and has two 69-meter-tall towers (226 feet). The river Seine flows 776 kilometres through northern France, and offers a great opportunity to become familiar with many of Paris' impressive monuments while enjoying a boat ride through the heart of the city. A romantic cruise for couples, or a fun-filled ride for the whole family, just sit back on the water and enjoy the scenic setting of Paris. 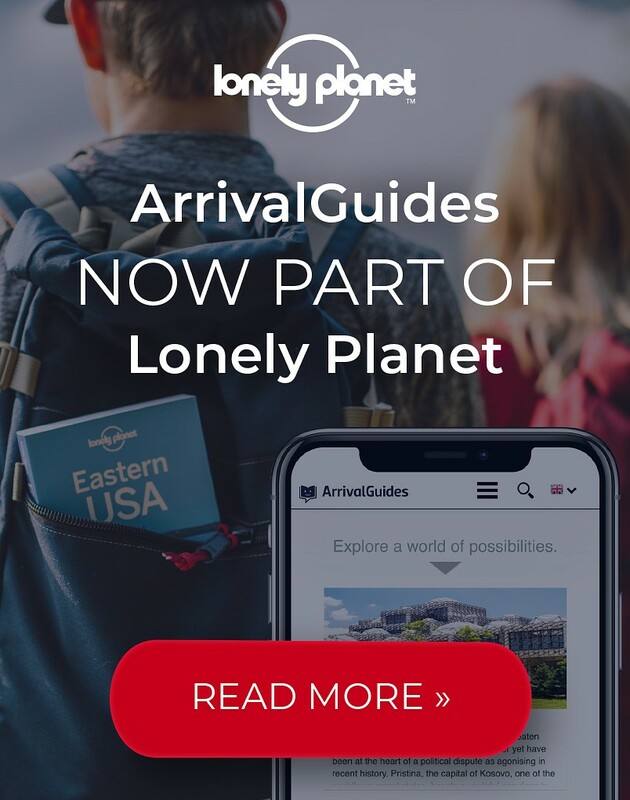 Most boat lines offer similar itineraries and are equipped with an audio announcement system, as the multilingual guides provide commentary on the passing sights in several different languages. Pont Neuf (New Bridge) is, ironically, the oldest bridge over the river Seine in Paris. 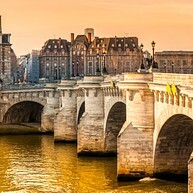 Its construction dates back to the 16th century, and the iconic bridge stands today at 278 meters (912 feet) long and 28 meters (92 feet) wide, connecting the Ile de la Cité with either side of the Seine. This iconic promenade is nearly two kilometres long and goes all the way from Place de la Concorde to Place Charles de Gaulle, bookended by the Arc de Triomphe and the Musée de Louvre. It is a lovely walk on any day of the year, and it is the place to be during times of celebration, be it the French National Day or New Year’s Eve. 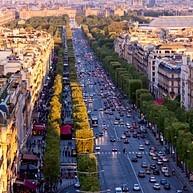 In the month of July the final stage of the Tour de France takes place right on this very street. The Musée d’Orsay was originally a railway station, and the building itself demands a visit. But it holds a mesmerizing collection of mainly French paintings, sculptures and photography, including the world's largest collection of impressionist and post-impressionist paintings, with works from artists such as Van Gogh, Cézanne, Renoir and Monet. Montmarte is one of the most popular historic areas in Paris, with the Sacré-Cœur Basilica its beacon atop the 130-metre Montmartre hill, the highest point in Paris. It is famous for the cafés and studios of many great artists, such as Dalí, Monet and Picasso, and it is easily recognizable as the filming location of the movie "Amélie". Other famous places in the area are the Moulin Rouge and Lapin Agile, downhill to the southwest, in the red-light district of Pigalle. Le Marais is a historic district situated on the Right Bank of the Seine, spread across the 3rd and 4th Arrondissements. 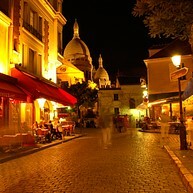 This is a trendy district with beautiful architecture dating back to the 17th century. 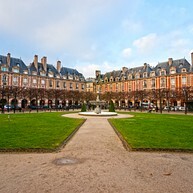 Now home to a vibrant LGBT community, it is famous for its many museums, art galleries and historic sites, such as Paris’ oldest square, Place des Vosges, the site of Victor Hugo’s former residence. If you can be drawn away from the magical allure of the city, venture to a different type of magic at Disneyland Paris. The resort consists of two parks, Disneyland Park, which consists mainly of the usual rides, restaurants, cafés and tons and tons of shops, and Walt Disney Studios, which has cinemas and stages on top of that. Wander down Main Street USA, explore exotic sceneries in Adventureland, or visit your favourite and most beloved characters at Fantasyland. Adventure and wonder await at Disneyland Paris, especially if you have kids, but not exclusively. Tons of fun is waiting to be had by visitors of all ages. 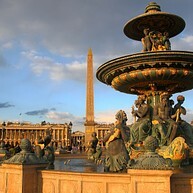 Place de la Concorde is a massive 84,000m² square located at the eastern end of the Champs-Élysées. It holds historic importance for several reasons: the liberation struggle during World War II brought many battles to Place de la Concorde; during the French Revolution, over a thousand people were beheaded here, many of them famous: Louis XVI, Marie Antoinette, and revolutionary Robespierre, just to name a few. The site is dominated by the 24-metre Obélisque de Luxour, one of Cleopatra’s needles - a gift from Egyptian viceroy Mohammed Ali to Louis Philippe.